I have been so encouraged and blessed by being able to talk to other homeschoolers who are on the same quest to provide a quality, moral education for their children. Thank-you for your comments and questions. Please keep them coming! In the meantime, I thought others might be able to benefit from our dialogue as well. Below is a sampling of some of your comments and questions. Your site is just EXACTLY what i needed. Thank you for taking the time to provide this. I have three boys and feel like I’m in the middle of a stampede a lot of the time. I did not realize that the idiom “i can’t hear myself think” was not hyperbole until having my sons. I have not seen anything else so helpful to this particular niche of parenting (homeschooling moms of boys). You are helping save my sanity! If you ever have any specific questions, let me know. I’m happy to try to answer them. Otherwise, look around. And please write back or comment on my posts from time to time so that I’ll know how you’re doing. Take care and I hope you have a great homeschooling year! I am a home school mom of 8, 5 boys and 3 girls. We try to maintain a routine to keep peace order and harmony, that is less time telling them what to do they know what is expected of them. Lately I been having trouble with my 13 year old son. I believe he is a very bright boy. He often comes up with answers in his head not having to calculate. He make the neatest things with wires and old Christmas light strands and foil. Once he made his own remote control helicopter from a broken remote control car. He gets plenty of outside play like 2-3 hours on a nice day. Some how he has got it in his head he doesn’t have to respect me or do school work it can be a challenge to get him to follow his morning routine. (he loves to get up early but wants to do his own thing) We do 2-3 hours of work broken up over the day and when the subject are completed they are done for the day. We also aim to do some one on one with dad in the evening to grade or be available for any questions. Any recommendations to help get him back on track would be appreciated. Hey, Kelly, thanks for contacting me. I think that what your son is going through is pretty typical for boys his age. Where is he in the birth order? Is he your oldest? It sounds like you’re going to need to get dad involved. It isn’t acceptable for your son not to respect you. Your husband may need to explain how things work a little bit more forcefully to your son. Have your husband tell him that he MUST respect his wife or he will have to answer to him. On the positive side of things, try to talk with your son and see if there’s anything he would suggest or appreciate for how you can change up his school routine. Boys that age love to have some control over how they’re spending their time. I’m not sure if you read my post on how my boys are now doing much of their own time management throughout the week? If not, read that to get some ideas. Ask him what school subjects he would like to study and add them to his list. It sounds like he has time left over in his day to do some things that he would really enjoy. Maybe try to find an outside class or a mentor where he can explore some of the mechanical tinkering that he seems to be good at. Another thing you can try is to tell your son that he can’t do any of the stuff that he likes to do until after all of his schoolwork is done for the day. And that he must have a respectful attitude as well. And lastly, I would try to make a point of working on your relationship with your son. The more you’re able to connect with your son, the more likely he will be to listen to you and to show you respect. I hope those suggestions help. If there’s anything else I can do, feel free to write back. God bless you and I hope you and your family have a wonderful weekend! Do you have any suggestions for me? I have 3 young boys and I’m doing 1st grade with the oldest now and completely losing my confidence. I cannot motivate my 1st grader to do anything. He just sits there and either ignores my questions or discussions or won’t get his work done. I’m doing unit studies, I’m not Martha Stewart either, pretty much the only busy work he has is math. I’m pulling teeth to get him to try. He won’t write, he listens to me read, but between lessons and my younger two boys chaos and house chores I don’t know how to find time to do that. I’m just starting to lose my sanity. Any suggestions are appreciated heavily. 1. Take a look at what you’re trying to have your son do and see if maybe it’s too hard for him. It sounds like maybe you’re attempting too much. Boys don’t mature as early as do girls. Writing skills, especially, lag behind for boys. Try putting down the pencil and just doing the hands-on stuff for awhile to get him excited to learn again. Then, when you do have him pick the pencil back up, try to do it in fun ways… like solving puzzles, dot to dots, mazes, whatever he enjoys. S-L-O-W-L-Y incorporate actual writing into his schoolwork. He’ll catch up to where he needs to be when he’s ready. You didn’t mention his age – but my guess is that he’s feeling overwhelmed so he’s checking out. 2. Try to find other things for your younger sons to do while your older son is doing his schoolwork. Schooly-type things. Or have them join in on your older son’s lessons. Your 1st grader might be resenting that his brothers are having fun playing or watching TV while he’s having to do schoolwork. 4. Have your husband talk to your 1st grader and explain to him that he needs to listen to you. Ignoring you isn’t acceptable. Sometimes boys need to hear their dads lay down the law. He can do this kindly but firmly. Usually when dad talks, boys listen. That can be frustrating for us moms… but use it to your advantage. I hope that helps. If you have further questions, please let me know. I’m happy to try to help! Continuous Blessings to all and in all you do. Malisa, thank-you SO MUCH for letting me know. Encouraging other homeschool moms is why I spend the time doing what I do. Hearing this makes me so happy!!! Please feel free to write to me whenever you’d like at [email protected] And if there’s any questions I can answer or any other help I can give, just ask. Take care and I hope that you and your son enjoy your homeschooling journey! It is hard but SO WORTH IT! Thank you for sharing your life online. It is a true blessing to know that other people do not always stick with their schedule either. I tend to be an ambitious planner, but a good friend with nearly grown children always reminds me to put God and the children first, not my schedule. I have to be told this regularly and I am ever grateful for the advice of those who have done this and succeeded. We “do school” five days a week, but not everything in the same order. Some days turn out to be reading days, some math, some unit study days. Once in a while we just chuck it and go play outside. Amazingly, especially if I do not stress over it, we get most things accomplished and enjoy doing them. Is everything in a beautiful lapbook, uh not so much, but the pieces are there. Maybe we will have a review week in the summer and glue it all down. Thank you again for your encouragement. God Bless You! Your comments about flexibility struck a chord with me because I often have trouble giving myself and my kids the break we need. It is important, although difficult, for me to remember that I control my lesson plans; they do not control me. The best thing I have found to help us be more flexible is that I make every effort to plan for four days of school each week, leaving a day for field trips, play dates, errands, etc. Having that extra day to move around has been invaluable. I also start my schooling early in August (when Texas is HOT and unfriendly outdoors) to allow us more breaks along the way, especially near the holidays when there are so many other distractions. Thanks for your continued encouragement through your blog, etc. I appreciate you! Hello again, Marci! No problem. Those books are called “The Wild Adventures of Eli Johnson and Curly Bill ” by Dan Wright. Oh awesome awesome!! You rock!! I could not think of that book to save my life! Lol! Okay great thanks so much. He has been attempting to read The Boxcar Children and so far likes it but is very slow going. He is 9 and in 3rd grade. Reading is the only thing he is behind in. Should I be concerned just yet? I thought I HAD to enroll him in a “online schooling program”, but I am in position to afford most of these quotes I have had so far. Can I “choose” his assignments myself and choose the pace and amount of assignments? It appears I can after some researching, but I do not know where to start. He’s an active boy that received special ed services. Please contact me as soon as possible. Thank you so much.Hi, I am a mom of a 2nd grader that needs to be schooled at home. I have never done this before. I admit, I am clueless and very nervous about doing this. In fact, I do not know where to start or how to start. It’s good to hear from you. Have you seen the page on my website called Getting Started? If not, be sure to check that out because I have step by step instructions for you on there. No, you do not have to enroll your son in an online program. Be sure to check out Home School Legal Defense’s page which has all of the different state regulations on it. Hopefully you live in a green state like I do because then it’s extremely easy to homeschool. If not, it can still be done – you just need to do whatever it is your state requires from you. Green states don’t require anything from homeschool parents and that’s awesome! If your son is active, which most of them are, I would probably steer away from a completely online program. He isn’t going to want to sit at a computer all day long to do his lessons. You may want to do some subjects on the computer and some with a more hands-on approach. That is completely up to you, however, because you know your son better than anyone else. I think that was all of your specific questions. If you have any more after reading my Getting Started page and looking at HSLDA’s page, feel free to write back or post them on my Facebook page. Have a wonderful night and I wish you much success in your homeschooling adventure! Thanks! Just the tone of your writing helps me to stop stressing. Fairly detailed plans this year at least through halfway then it drops into an abyss of core subjects and uncertainty. The Lord will provide, I am sure. Just wanted to let you know what a blessing this site is. I have only looked at it now for 15 minutes and it is what I need. Thank you for taking the time to do it. I will be living on it for a while and purchasing your curriculum books soon. I am so excited. THANK YOU!! Thank-you so much for your kind words! It’s always nice to hear from readers and to know that my site is helping them in some way. I’m glad you’re excited about your homeschool journey. When us moms are excited, our kids will also be excited. And learning should be fun and exciting! Take care and have a wonderful night! Hey there!!!! After 3 years of homeschooling and pulling out my hair (well some of the time – when my “girl mind” takes over and I forget my boy is 100% ALL BOY!!! ), I finally find your website!!! YAY ME!!! SO my question is this – I have finally figured out my son LOVES hands one learning – cool for me! – However, the only thing he absolutely dislikes is English! Do you have any ideas on curriculum. We are using Switched on Schoolhouse right now and I plan on finishing it. I will need help with next year. Also, even though we have changed to this way of teaching/learning – he has a HUGE LOVELY imagination which can be problematic at times – lack of focus, or when mommy’s brain is in “girl mode” (“Just SIT DOWN and work for 2 hours and you’ll be DONE!! !”) HA yeah right! Any ideas on keeping him more on track? Rewards? Incentives? Ect….. Thank you thank you sooo much!!! I am thrilled to have found your site and I will share it with my other friends who have boys!! English is a tough subject when it comes to hands-on… We do our grammar stuff on worksheets using Bob Jones Curriculum . I’ve looked over lots of different companies and they all look pretty much the same. Bob Jones worksheets seem to have more color on them than some do – and with boys being so visual, this does help. One thing you can try, however, is to add physical movement to the lessons. If you’re learning about nouns and verbs, write these words on pieces of construction paper and throw them on the floor. Then call out a list of words and have your son jump to the correct piece of paper – whether it’s a noun or a verb. You could do that with adjectives and adverbs… all sorts of stuff. Any time you can get the pencil out of your son’s hand and get his body working instead, he will be grateful for it. Another thing we’ve found to be successful with the writing portion of English is to give my sons a spiral notebook filled with handwriting paper (you can get these from Miller Pads and Paper and ask them to dream up their own story. You can require them to fill in a certain number of lines or pages each session depending on how much your son struggles with the physical act of writing. The 3-lined paper has helped my sons tremendously in forming their letters. I used to try to have them write using regular notebook paper and their letters wouldn’t stay between 2 sets of lines like they should. It baffled me! But having that dashed line in the middle has made all the difference. Also, using paper that is supposedly for a slightly younger age than your son may help because then he won’t have to write with such small letters. As far as rewards are concerned, I have a whole page called Rewards for Kids that you will want to check out. I hope this helps! Have a wonderful day and I wish you much success on your homeschool adventure! After another frustrating school day with my 8 year old son, I stumbled across your site. As I read your teaching suggestions to my son, he shouted, “Yes! Finally someone who understands! We both had a good, much needed laugh and I feel refreshed and ready to approach teaching my son using your methods and suggestions. Yes, it’s so helpful to remember that boys do learn differently. Thank you and God bless! They are so much fun, however. Glad you were able to laugh together and enjoy the rest of your day together. Take care and have a wonderful weekend! Thank you so much for the newsletter articles you sent. They are really so good and helpful to me today. I feel like such a failure in the way I speak to my children so much of the time. I am really going to be more aware of how to inspire them. I know it is SO important. I also enjoyed the article on when your child hits a wall. I was just pushing my 5 year old daughter yesterday in her reading until she got in tears. I know I shouldn’t do that! I did comfort her and tell her how great she is doing, but I know I just need to back off and maybe try another approach for now, like games. She is just not ready. Blessings to you for writing this. I often feel so inadequate for homeschooling, as I don’t truly ENJOY the academic teaching of my children that much, I hate to admit. It is just not my gift. It is my 3rd year doing this, and I LOVE so many aspects of it, but I just seem to have no patience sometimes. Thank you and bless you! Any advice for me would be great. I have an almost 11 son, 8 son, and 5 daughter. Hang in there! If you ever need support from more homeschool parents or want to ask any questions or anything, check out my new Facebook page called homeschool-your-boys.com. I’m hoping that this will be a community of homeschoolers where we can support each other during this exciting but also difficult journey. Take care and I pray that 2012 will be an amazing year for your family! God bless you! Have any suggestions for good curriculum for writing that keeps boys interested? Or just have any general advice when it comes to writing practice? I am really struggling with a 7 year old and a 9 year old! Thanks! Are you asking about the physical act of printing or cursive itself or about your sons being able to write things such as stories, reports, etc? My sons have never been very interested in writing things down, either. I’m told that gets better as they get older – and I have seen it improve somewhat in my 10 1/2 year old… but his desire to write things down is still not where I’d like it to be. For improvement with the mechanics of printing or cursive, I’ve used some of the Handwriting Without Tears products with my boys and they were easy enough for my boys to follow – and they didn’t usually put up too much of a fuss to do them. To learning how to actually write papers, we are now going through a book called “Kids Write! : Fantasy & Sci Fi, Mystery, Autobiography, Adventure and More! ” by Rebecca Olien. This book walks your child through writing different types of stories in a step-by-step fashion. They are very exciting stories, the book has lots of colorful illustrations, and it has helped to give my boys more of a desire to write things down. We have been doing one step a day. We start out brainstorming and I let my sons come up with what they want to say. I write down the points they come up with on a whiteboard and then they can use those points to write what they want to say. I’ve also been having them use a notebook which is filled with handwriting paper because this helps them to write more neatly than if they were using regular notebook paper. Kids Write! : Fantasy & Sci Fi, Mystery, Autobiography, Adventure & More!By Rebecca Olien / Ideals Publications IncIs your student a veritable Jules Verne or a developing Dorothy Sayers? Keep your kids’ imaginations—and their pencils—hopping with this illustrated creative writing guide that explores the genres of science fiction, mystery, autobiography, adventure, fantasy, and more! Chock-full of projects, it also features fun hands-on activities to motivate and inspire youthful authors. 128 pages, softcover from Williamson. Jump In, Student WorkbookBy Sharon Watson / Apologia Educational MinistriesJump in to the world of writing–whether you’re an aspiring writer, or hate the thought of pencil and paper! Full-color illustrations, writing helps, starters, and short, kid-friendly assignments make any of these lessons manageable and fun to do! Don’t get bogged down in redundant reports over and over again; rather, Jump In fits itself to your student’s writing style while ensuring that they gain ample experience writing reports, opinions, journaling, proofreading, editing and other writing skills. 248 pages, softcover student book. Story Starters: Helping Children Write Like They’ve Never Written BeforeBy Karen Andreola / Charlotte Mason ResearchStoke the fires of your child’s imagination and awaken the creative writer within! Featuring a teacher’s guide and 19th-century black-and-white illustrations, this rich resource boasts over 65 “story-starters”: narratives designed to suspend students in the middle of a predicament so that they can pick up a pen and determine what happens next! Ages 8 to 18. 458 pages, softcover from Charlotte Mason Research. Hope this helps. Writing is a struggle for most boys. Just keep trying to make it fun and don’t push them too hard – and I’m told that in time they will be able to do just fine. Thank you so much for your words of advice. I most needed to hear that I am not the only one with reluctant boys, it is natural, and not to fret so much. Thanks for the suggestions on curriculum as well. We are new at this, so it is always appreciated when I get advice on what folks have tried that works. Thanks for being a blessing to me today! P.S. And thanks for the wonderful website! Hi, my name is Tracy. I may be acting too bold to ask this, but I’m really in need of advice. I am a homeschooling mom who just happened across your website for the first time as I was looking for help for my homeschooling journey. I don’t know if you are up for giving any advice, or if you have the time but you obviously have alot of experience successfully homeschooling boys and I really need some input from someone who is thriving with homeschooling instead of barely surviving (as I feel I am). I know it must seem strange for a stranger on the internet to ask for help, but I’m pretty desperate. If you do have time to offer advice, here’s my situation: (if not, just disregard): I am a mom of 5 (ages 14,11,6,3, and 2 mos.). The oldest two are girls, the youngest are boys. We have been homeschooling for almost all of the girls’ school years. You would think after homeschooling for about 7 yrs. I would be getting the hang of it. My biggest problem seems to be time management. I really have no idea how to balance my life. I always feel behind, to the point that I really feel like I’m sinking sometimes. I go and go all day long, but I feel like a rat on a treadmill. At the end of the day, I don’t really feel like I’ve accomplished anything. I have to-do lists scattered around the house, yet they don’t get smaller, they get larger! I feel like I’ve got a mountain of things to do laying on my shoulders. I don’t really have a good plan for teaching the kids to help me keep up with the housework and keeping things tidy so I constantly feel like I’m running around having to pick things up. managing a big family. I have always desired a large family, but as the Lord has blessed us with more and more children, I realize how woefully unprepared I am to raise them. My upbringing in a two-child household (both of us girls) with a mom who was the breadwinner/gardener/handyman, etc., did not prepare me with the skills I would need to raise these children I love. Plus, I had virtually no experience with boys. I love them dearly and wouldn’t trade them for anything, I just don’t always know what to do with them, for lack of better words. I feel like I can’t turn my back for a minute. If I do, it seems that my oldest, in particular, starts acting out. I don’t know if it’s being stuck right in the middle or what but he gets upset often, saying no one likes him, and it’s getting to where I can’t let him and his 3 yr old brother play together unsupervised because of the conflicts that develop. For years now, it seems like my oldest daughters get so very little from me, because from sunup to sundown I’m just trying to tend to their brothers’ needs. I don’t mean to complain, it’s just that I’m mentally drained to the point that I’m too exhausted to really enjoy them like I want to. I know homeschooling should be more enjoyable than this. When I have time to look at websites like yours, I feel encouraged because I know that there has to be a way for things to be better than they are. I just don’t know how to find it. How do other moms do it all, homeschool their children (and many with a lot more children than me), and manage to have time to fulfill other pursuits? I would like to have fun homeschooling. I would like to have time to plan and do some of the neat activities that I read about, maybe have a little garden, and try to raise a few more farm animals (right now, we have chickens and the kids would like to try to raise some more animals). Do you have any organizational books, resources, etc. that you can recommend? Thanks for any help you may be able to offer? I’m so sorry it has taken me this long to respond. I have been trying to get some good advice for you from some friends of mine who are homeschooling lots of kids… I have someone who has said they would – but she is in the middle of baseball season with her boys and she is very busy… so she hasn’t had a chance to respond, yet. I only have two boys so I can’t really speak to the whole multitasking with multiple children issue. Here are a few things that I can say, however. First, it is not strange that you are asking me for advice. I actually have quite a few moms ask me for advice in different areas. And sometimes it’s easier to confess our weaknesses and true feelings to someone who doesn’t know us. Next, you are not alone. I think most homeschool moms struggle with feeling inadequate and as if they are not getting enough accomplished at different times in their journey. I know I have felt that way plenty of times and I don’t have as many kids to try to juggle. Usually when I feel this way, it’s during a time when I’ve started to be lax with my Bible study and prayer. Everyone is different – but I need to be doing a full blown in-depth Bible study because just reading a few chapters of the Bible doesn’t do very much for me. Beth Moore writes my favorite studies. Are there any homeschool conferences in your area that you could attend? I think if you asked someone at church to watch your kids (maybe ask two or three people to take a kid or two) then you would be able to attend. I get so much encouragement and good advice from these conferences. Also, try to get your husband to go with you. My husband went with me for the first time this spring and it really helped us to feel more like we were on this homeschooling journey together. Also, it sounds like you would benefit from you and your husband going off together for a planning session. He is supposed to be the leader of your homeschool and he needs to give you some advice on ways that you can better handle the kids or with setting up a schedule. I know that dads are often hands off when it comes to homeschooling matters – but try to share your heart with him and get him to realize how much you need him to participate. It makes such a difference!!! I know I’ve had to prioritize what really matters in our household because there is no way you can do everything that you could if you weren’t homeschooling. Your house won’t always be clean, the laundry will probably never be caught up, and you’ll probably have dishes in your sink (or on your counters) but if you are accomplishing the most important tasks throughout at least most of the days then you are doing well. Only you and your husband can decide what those important tasks are. I know we’ve also gone through seasons where my husband would have to work with my boys on math or some other challenging subject after he got home from work. You may want to consider something like that in order to get everything done as well. away from the laundry room, etc etc. Don’t expect that you can do it all on your own! I would get your kids trained to help out around the house before you add any additional tasks such as farm animals. You’re already feeling overwhelmed so you don’t want to add any additional responsibilities until you’re ready for more work. Check out the CHORES FOR KIDS section of my website for more information about getting started. Do you belong to a homeschool co-op or support group? I think you would also benefit from having a close network of homeschool moms with which you can get advice, trade babysitting, etc. And having a night out with other moms occasionally is also very refreshing. If you are able to get away from the family for a short while, you will be able to come back and be an even better wife, mom, and homeschool teacher. Boys can be tough. I also grew up in a home with mostly girls (3 girls and 1 boy) and I always thought something was wrong with my brother… until I had a couple of sons of my own! I do know that my boys benefit from strict discipline. Childish behavior is very different than defiant behavior. I allow my boys to be boys – but I’m also trying to train them to be Godly men – so I try hard to nip disobedience and defiance in the bud as quickly as possible. I hope some of this rambling will be helpful to you. I will forward on any helpful advice that I’m able to get from other moms as well. If you have any additional questions, I’d be happy to try to answer them. Otherwise, I pray that you will be able to get things sorted out and that you and your children will be able to enjoy your homeschooling journey. How can I teach a 9,6, 5 and care for a 8 month old baby without loosing my mind? How can I plan stuff so that everyone get taken care of? I am depressed… I do not know that I can do this but my husband wants me to homeschool. I have no one to ask questions to. I would highly recommend that you do the majority of the schooling with your 9, 6 and 5 year olds together. I would recommend that you do Bible, Geography, Science and History at the same time. Gear the activities just a little bit harder for your 9-year-old than you do for the 6 and 5-year olds. You will need to do reading, math and english/handwriting separately however they can do these subjects at the same time. Get your 9-year-old started with math – then listen to your 6 and 5 year old do their reading. Then have your 9-year-old read independently and work with your 6 and 5 year olds on their math. You can do read aloud books while your baby is awake and playing quietly on the floor or in his/her highchair. It will take some training for the baby to play quietly while you are working with the other children – but in time, the baby will also learn to enjoy hearing you read. Try reading some books with colorful pictures to help hold the baby’s interest as well. You may want to save some of the more challenging subjects for when the baby is napping. All families are different, so you will need to come up with a schedule that works best for your family. It sounds like you and your husband need to have a date night/planning session, where you can discuss your concerns with him and he can help you to come up with ideas that will work for your family. You may also benefit from having him work with the older children on a subject or two after he gets home from work or after dinner. This will also free you up to do more with the baby during the day. Is there a homeschool support group in your area with which you can connect? It sounds like you need to have other homeschooling moms with which you can talk and bounce ideas off of. Hang in there! It can definitely be done. If you have more specific questions you’d like me to try to answer, I’d be happy to try. Take care and I hope you and your husband are able to get things sorted out for your family. LOVE your chore outlines for each age group of kids. I’m definitely going to use it for both my 2 and 4 year old! THANK YOU SO MUCH for your advice and help!!! 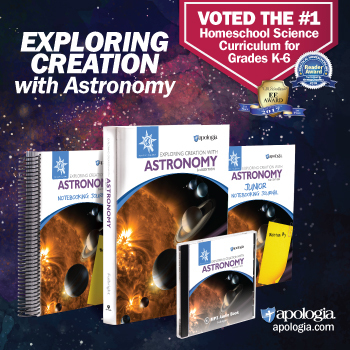 I want to first tell you that this is, hands down, the best website I have come across since I started my homeschooling journey. My oldest son is 6, and attended public school for the first 5 months of kindergarten. After sitting down with him and noticing that his interest and confidence was slipping away, I decided to withdraw him from school. I have questioned my decision several times since then, as he asks to go back to school every now and then. I feel like I am not doing a great job homeschooling him, and also have a 3.5 year old that loves to play with his action figures very loudly and on top of his brother when it is supposed to be “learning time”. I have been using the Abeka program because I felt like I needed a structured curriculum to guide me and make sure he was learning what he is “supposed to be” learning. Ultimately though, he seems to be pretty bored with the work, because it is a lot of worksheets. And I feel like a failure. Reading your tips and stories has been so inspirational and comforting to me. It makes me feel like maybe I can actually do this. I haven’t “bonded” with any of the homeschool mom’s yet, as a lot of them seem to be so extreme in certain areas and their beliefs. Your website makes me see that not everyone that homeschools has to be an extremist. I do have a few questions for you. Did you have a favorite curriculum for your boys when they were around the k-2 age? Do you have any special suggestions for getting my son interested in creative writing? He loves to read, and he enjoys math, but his handwriting is rough and he seems exhausted when I even suggest writing a few sentences. Also, we live in south Florida, and I was wondering if you could recommend any support groups in this area? Thank you so much for your advice and all the great information on your website- it is just what I needed! Thank-you so much for your kind words. I’m glad my website has been helpful to you! I can understand you second guessing your decision to pull your son out of school. Us moms are very good at second guessing ourselves, aren’t we?!? It sounds to me like you made a very good decision, though. You saw the negative effect that public school was having on your son, you decided to do something about it. I commend you for seeing what needed to be done and doing it before he experienced any permanent damage! Let me first say that boys often lag behind in the writing department. I wouldn’t worry at all about the fact that he gets exhausted writing a few sentences. My boys were the same way. I’ve heard that many homeschoolers don’t even have their sons pick up a pencil to learn how to write until they’re at least 6 years old because it IS exhausting for them. Instead of having him fill out worksheets, I would ask him questions orally. You can fill out the worksheets for him at this stage, if you’re wanting to keep a record of what he’s learning. As long as he knows the information, I wouldn’t worry about him being the one to write it down. A curriculum we’ve really enjoyed for learning to write has been “Handwriting Without Tears “. Keep working with him on learning how to write – but don’t try combining it with his other learning at this point. Let him do other things to show what he is learning such as hands-on projects, acting out the information, taking photos, drawing pictures, and so on. My boys LOVE to do anything which requires them to build something (even with cardboard) and/or to get messy. I totally agree with you on the worksheet thing. So boring! That’s why I developed my preschool curriculum filled with hands-on activities. They would be perfect to go through with your younger son. Maybe if he had his own “schoolwork” to do, he would be more willing to let his older brother work on his schoolwork without interrupting him constantly. In the younger grades, I would focus heavily on them learning to read and you reading to them. The more hands-on projects you can come up with the better. Boys LOVE to learn by doing. Take care and enjoy your homeschooling adventure! I am homeschooling my son. He is if 5th grade, and is very easily distracted. He hates to read and constantly allows his mind to wander when it comes to reading for his classes. An assignment that is meant to take an hour seems to take four or five times as long because he doesn’t focus. I have tried to set a time limit but that simply frustrates him, I have tried to make it funny and read with him, but then he tends to wander off subject and when we try to focus again he doesn’t pay attention. The other issue is that when he reads he is not retaining the information and so he fails even the shortest of tests. I don’t know how to assist him to give him a better education. 1. Set a cardboard study carrel such as one you might see in a library to minimize distractions for your son. 2. Try letting your son listen to different types of music to see if this will help him to focus. Sometimes music without words (such as Mozart) works best; however, distractable kids sometimes need to listen to fast paced music with words in order for them to focus on their work. Use whatever works for your son. 3. See if reading out loud would be beneficial for helping your son to retain what he is reading. When I’m having a hard time focusing on what I’m reading, I always read it out loud and it definitely helps. Check out Carol’s website. I have her book, “The Big What Now Book of Learning Styles ” and it contains all sorts of ideas for different non-traditional ways to teach kids. Her book might really help you with your son!!! My boys have certainly enjoyed and benefited from some of her methods. I purchased both of your books for preschoolers, Learn and Grow and Teach Me About God, and am VERY pleased with them! I have a 2 year old son. I am a former classroom teacher turned SAHM and was so excited to find your site. Thanks so much for all you do and I can’t wait to start working on these lessons with my son! If you have books that you and your children have really enjoyed, I’d love to hear about those as well. Hope you have a wonderful day! Wow! You’re fast! Thanks again and I will talk with my boys and try to remember our favorite books! I used to keep a list on my computer and then it crashed…anyways, you’re a sweetie! We are considering homeschool our 4 boys but I have yet to make the leap. I have subscribed to you since I love the tips and I am “gathering” info for when we transition. I guess we have some very kind “old” teachers in the elementary age that are as close to the love of a grandma you can get. It makes it easier to have them in public school knowing they have great teachers. By grade 5 though we may have to look into things since the staff definitely isn’t quite the same. Regardless, I wanted to tell you about a program our school uses that has made my boys fall madly in love with Math. Literally, they beg to do Math at home for free time! Anyway, it is called Mathletics. I can’t say enough good things about this! It teaches geography since they get to race against kids from all over the world and they also have to do “prerequisite” skills to move to new levels. They adore the program and so do I. If you ever get the chance to look at it please do! Thanks for keeping my focus clear!! I really appreciate your newsletter! I wanted to thank you for your for your positive info on boys today. We need more positive voices on the energy of boys. When we use that energy to our advantage we guide boys into men with the hearts and souls of leaders. I have just a brief comment: Thank you for having the insight to create, teach and promote a homeschool environment for boys. I am a recently retired elementary male music school teacher with thirty years plus under my belt. I have seen first hand the terrible restrictive and degrading pressures placed on young boys in the classroom. I formed and was principle director of a community boys choir. These were unchanged voices and we performed three/four part choral works to include classical, folk and modern formats. What’s the point? I trained these boys with the slant to the male. Learning was competitive, fun and accomplished in a language boys understood and enjoyed. Discipline and accountability was the hallmark and freedom within boundaries spurred on their quest to learn. Result: We traveled throughout North America giving concerts during the summer months and were thousands of miles from home two weeks at a time. I employed rigid rules for behavior and they flourished within those rules. I have been a supporter of all male classes in elementary school. I have been given strange and looks of reproach from female teachers. Boys are miserable and depressed with public schools and there is a terrible war against boys and they are generally viewed as disruptive and unruly. These descriptive words are more the blame for the pressed in environment done to them within a classroom setting and they cry for the need to be truly and internally understood. In closing, I sing praises for your splendid efforts and ask for God’s rich blessings upon your work and may He continue to provide you greater insight into your quest to help properly educate our next generation of young men. BOYS ARE FUN TO TEACH!!! Stumbling across your website was an answer to prayer for me. I have 4 boys and am currently homeschooling my oldest who is almost 7 and it has been a huge challenge for me. I thought maybe a public school setting may be better for him but didn’t want to sacrifice the relationship with him and I had several other concerns as well. I got online and decided to search for any topic I could find out about homeschooling boys. I came across yours and was thrilled!! I especially laughed when I read about your son doing somersaults in the living room and the other one running laps. That is my household to a T. I have decided to continue homeschooling and work on coming up with more creative ideas for educating my sons. I have also subscribed to the newsletter. Thank you so much for sharing all your experiences. I don’t feel so lost anymore. Just discovered your site today, seeking information on homeschooling our two sons, ages five and just shy of four. My husband and I decided on homeschooling after viewing the local schools available in our area, and we were quite worried about what our boys would be exposed to. Thank you for the time you have put into this web site. I am looking forward to spending time here, gaining insight in our journey. We have a few extra advantages, I think, in that my husband and I run our own equine business. Our sons go on all barn calls with us, and have since they were a month old. Our five year old is now working on handling some of our tiny clients, and learning hands on about anatomy, tool use, and interaction with animals and the clients themselves. He also really enjoys taking photographs of some of our stops as well. Thank you again for your time in this site, and the newsletter! You’ve helped me realize that my guys are, INDEED, BOYS! Is the preschool material only for boys? Thanks so much for a great newsletter that arrived just when I needed a boost and a little direction! God bless you! First of all, I want to tell you how impressed I am with your preschool curriculum. After looking at the sample pages of your Learn and Grow Preschool Curriculum I can see that God has really gifted you, especially in making lessons that are especially interesting for active boys. My name is Paula and I live in Uganda, Africa, with my husband John and my two boys, Zane (3) and Zach (6 months). We are missionaries with eMi (Engineering Ministries International) working exclusively with an all indigenous Christian ministry called Arise Africa International. John is an architect and the project manager of a childrens center for orphans that ILoveOrphans.com and Arise Africa International are currently building. Lord willing, the nursery school for children ages 2 thru 5, that serves the orphans, as well as 40 children from the local village community, will be completed by summer 2009. Lindsey, an intern with eMi, and I have been given the task this fall of putting together the preschool curriculum for the orphanage. When I saw the sample from the Teach Me About God Preschool Bible Curriculum, I thought that would be a wonderful resource for the teachers in the nursery school. The best part is the story telling you provide at the beginning of the lesson since we will not have a stocked library. Also, the activities really engage the children! I personally have been struggling over the past few months trying to preschool my son Zane. My complaint is the same as yours was…spending more time planning than teaching. My work with the ministry takes up a lot of my time already so all of the time I save using your curriculum is a tremendous blessing. Thanks for ALL the great info! I can’t wait for next month’s newsletter! My son is going to be 5 on the 4th of September, so he just misses the cut off for kindergarten. My question to you is, will he learn to write the letters with the Learn & Grow Preschool Curriculum? And are there reading lessons in the book? I guess I’m wondering if he is too old for the curriculum. He already knows his letters by sight. Thanks for your question. Actually, I don’t think your son would be too old for this curriculum. It would be lots of fun for him and he would continue to just improve upon his math and motor skills and other areas where he might not be as advanced. I have included lessons in which your child will be learning how to write letters, numbers, their name, etc. You could very easily add even more of this in to the curriculum as well if your child has already mastered recognition of his letters. I do not include reading instruction in this curriculum. If you are planning to send your son to school next year versus homeschooling him, you probably don’t want him to get too far ahead, anyway. If you do, you will run the risk of him being bored when he’s way ahead of the other kids in his class. There is more information about Learn and Grow here. These lessons would provide more learning opportunities for you to enjoy together with your son this year. Let me know if you have any further questions! Thank you so much for getting back to me so quickly. I did check out the preview to your book and I think you are right as far as being too far ahead! I have 5 boys and the one I am talking about is my third. It seems as though the farther down the line they are the better educated they seem to be!!! I don’t know what I didn’t know with the first one as far as getting him ready for school. With the second I did some more things to get him ready and now the third is about to get this great curriculum! Thank you and as soon as I get a moment tonight I will be ordering it…. Thank-you for your newsletter. I am homeschooling my 12 yr.old son and using the Bob Jones materials. He has special needs due to a vision disability and math has been a severe struggle. Would “Rays Arithmetic” be a source that could help in this case? His reading is inconsistent also. I have tried several courses and now I’m seeing that the Bob Jones reading goes too fast. We use the DVD course but it is very hard when he’s asked to read along at an accelerated pace. What would your advice be? He is loosing interest is this type of learning and I’m looking for more hands on learning materials. I want him to love to learn and to read. His favorite subject is Bible…..he can study it all day and not loose interest. Writing on each person, hearing the stories, and memorizing the books of the Bible are what keeps him interested. I wish I could just incorporate into a total curriculum. Thank-you for your time and any advice will be appreciated. How encouraging that your son is enjoying his Bible studies. That is the VERY MOST important subject for all of us, anyway. Make sure you keep that in mind so that you don’t become discouraged. Reading – Again, I would dump the DVD and just work with your son on his reading. Go back to the level of books that he can read well and let him read some of them for awhile. Let him pick some books out at the library and read things that he’s interested in – even if the level seems way too easy to you. If you want him to love reading (what mother wouldn’t) you need to let him enjoy reading a bit more and not make it such a chore for him. Believe me, I had to learn that one the hard way as well. It’s important to remember that people read at different paces – even adults. I don’t think it’s fair to expect a child to read along with a DVD because they might never be a fast reader. My husband loves to read and he reads quite often – but he reads about 4-5 times slower than I do. We just have different styles. On the other hand, I have a tendency to fly through books and don’t remember as much detail as my husband does when I’m done… So there are pros and cons to both styles. Kids are the same way. Your son might never read FAST – but that really doesn’t matter as long as he reads WELL and enjoys it. You can still try to use the Readers with the Bob Jones curriculum if you and your son are enjoying them. Just let your son read them on his own and at his own pace. And remember to throw some rewards in there – when your son completes a book, when he is able to answer questions about it, when he keeps trying and doesn’t give up – whatever he needs to work on, make it a goal and track it. And give him lots of praise in the areas in which he is doing well – like Bible study. Thank you for this encouraging e-mail.I am going to try the Saxon math and switch his reading program to another one that was easy for him. Thank you for this web site. I can’t wait to tell others about it. As a home school mom of 16 years I know how important supportive information is to the journey of teaching our children in the comfort and safety of our home. to understand them as well. You have really encouraged me! Would you like me to sign you up for my free newsletter so you can stay informed about stuff on the website? We have started with the apple sample lessons in your Learn & Grow Preschool Curriculum and my daughter enjoys them a lot. I want to continue as quickly as possible! I LOVE your website. Thank-you or all the tips! My oldest has been really struggling and I am excited to try a few of your suggestions with him! Thank you for your site! I have almost completely read it from cover to cover. I have two boys 3 & 6 and this is our first year of homeschooling – we are doing Kindergarten. It is going well – but I really appreciate your honesty because some of the things you have shared I totally understand. I look forward to future ezines. Thanks again for all your wisdom – I appreciate it! Your boys are adorable. Are they twins? If not, they look like they are! I have twin boys that just turned three and we are just starting the homeschooling adventure. I signed up for your newsletter…I am excited to hear your tips. THANK YOU!!!!!! This is so nice of you. I really appreciate it! I have noticed, that everybody who homeschools, is really helpful and never hesitates to jump in and do whatever is needed. Thank you, thank you, thank you. I’ve been using Saxon Math with my first grade son. There is so much DRILL in the book done in plain, boring lists. Is there a place on the web with worksheets that drill the facts in a fun way (mazes, color coding, etc)? We’ve made things more fun by tossing bean bags for the correct answer, running around every fourth problem, etc but he is able to sit longer and likes to solve puzzles. Any suggestions? I’ve googled it and keep finding more fact sheets instead of fun sheets. Thank you for your time and advice. I totally agree that Math can be boring for the kids – especially Saxon math. We started out using Saxon math and found the worksheets to be very unstimulating for the kids. I run the risk of stepping on toes when I say that because Saxon is probably the most popular math curriculum for homeschoolers… but my sons didn’t enjoy it. They enjoyed the hands-on part of the instruction with the pattern blocks and that type of thing – but when it came to doing the worksheets they didn’t enjoy it at all. We actually switched to Bob Jones math – mainly because the worksheets are full color and appear more interesting to highly visual learners (like most boys). They also try to go back and forth between the mundane adding and subtracting of math to the more exciting concepts such as measuring, temperature, 3D shapes, money, etc. So it isn’t as monotonous for the boys, either. I’ve also found that if you can show boys WHY what they’re learning is relevant, they’ll be more interested in it as well. Take his math lessons and try to relate them to the real world… Let him figure out how much money you’ll have left over if you buy his favorite cereal, let him count the carts at the grocery store, let him help his dad with the measuring while they’re working on a woodworking project, etc. And as for all that drill in the Saxon math, once your son has a concept down I wouldn’t make him do the repetitive problems over and over. Occasionally so that he can continue to remember how to do that kind of work, but not so much that it kills his love of learning. You are the best one to decide when he needs those repetitious drills and when it’s alright for him to skip them. I am planning to homeschool my 2 boys next year. They are both very kinesthetic learners. What curriculums would you recommend for teaching reading and math? One will be kindergarten and the other 2nd grade. Thank-you for your kind comments about my website! I think that most boys are kinesthetic learners, so they all do very well with lots of hands-on learning. There are lots of wonderful options out there to use for reading and math. We really enjoyed the Bob Jones materials (www.bjup.com). They are colorful and therefore look interesting to children. They also have lots of ideas for projects that you can do with your sons. If you are more interested in taking a Classical Approach with them, we have also used quite a few of the Veritas Press materials successfully (www.veritaspress.com). I would be sure to get whatever curriculum you decide to use very soon – and go through it this summer to get organized. You will want to plan on doing as many of the recommended hands-on projects with your sons as possible. Even consider adding in a unit study or extra science including experiments because kinesthetic learners love these types of activities. Also, try to be patient with your sons while you are doing school with them. Kinesthetic learners often wiggle, tap their feet and move their legs while they are sitting. Be flexible with where they are doing their studies – let them move from the floor to the couch to the table – even getting up and stretching or doing something physical between math problems so help them concentrate more fully. I hope this helps! Have a wonderful time working with your boys!!! I chanced across your site while looking for tips to help my 6-year-old son improve his motor skills. He attends occupational and speech therapy but I wanted a means of helping him in a fun way which did not smell too strongly of “therapy”. The pointers on your site are very comprehensive and totally sensible, although I’m not into homeschooling. I’m having a really hard time with my 3 and a half year old boy. We just moved from Arizona to Joplin, Missouri – are thrilled to be in the midwest with grass and seasons, but I’m petrified of spiders and there are tons of bugs in the woods where we live on an acre that has a little post-rainfall “stram” running through it. I can’t manage to “let go” enough to let him (my 3.5 year old) just wander around because I’m afraid of spiders biting him, ticks getting on him, chiggers, etc etc. Plus, I have a one year old boy as well, who I don’t know what to “do” with while I supervise or try to accompany my toddler. It’s extremely difficult. whatever you can share with me. I can totally empathize with your situation – you’re at a hard stage of parenting with a 3 1/2 year old and a 1 year old. My boys are 16 months apart, so I can feel your pain. Know that it DOES get better as your boys get older! In the meantime, you have several questions in your email and I don’t want to miss anything, so I’m going to answer them one by one. 1. Try going to some parks with playground equipment during the day. This will allow you to get out and meet other moms in your area, as well as to put your boys in an environment which is safe. 2. Check out this website: https://tristates.com/momsclub/ There is a Mom’s Club in your area. It looks great, I would definitely consider contacting them or trying to attend one of their events for some support. Or see if there is a MOPS organization in your area. up with a bunch of bug bites. And it says right on the bottle that it protects against ticks and chiggers! being kinda creeped out by all of the spiders and snakes. I would check with your pediatrician to see if they have any advice for you in your area. 1. If your son is small enough to fit in a backpack, then I would get one and put him in it. Carry him around on your back while you wander with your 3-year-old. 2. While doing inside activities, put your son in his highchair with some toys, and keep him in the room with you and your older son. Try tying some toys onto his highchair tray so that you aren’t having to retrieve them constantly. 3. Try doing some fun activities with your 3-year-old while your 1-year-old is napping. You can even go outside during this time if you turn on a baby monitor so that you know when he wakes up. 4. You can also try including your one-year-old in your activities with your older son. Tape a large piece of paper onto a child-sized table and give him those chubby crayons to scribble with. Give him a kleenex or a piece of tissue paper and just let him rip it to smithereens. Give him some whipped cream and let him smear it all over his highchair tray. These are all activities which will keep him occupied but are also fairly easy to clean up. P.S. If you do the whipped cream activity with him, strip him down to just a diaper for easier clean-up. Try out the sample lesson to see if these are activities that you might enjoy doing together. I hope these suggestions will help. PLEASE WRITE BACK if you have more questions or need any further advice. Being a parent is hard work and us moms need all of the support from each other that we can get!